One of the tragedies of the Apollo program occurred when the last three missions to the moon were cancelled, despite the fact that the hardware for those lunar landings had already been built. Apollo 20 was cancelledin January 1970. Eight months later, Apollo 18 and Apollo 19 were also cancelled. Thus, the last human mission to the moon so far was Apollo 17 in December 1972. The places that these lost Apollo missions to the moon could have visited were visually spectacular and scientifically interesting. NASA planners were looking at sending a lunar module into a high-impact crater such as Tycho or Copernicus. These craters each contain a central peak thrown up because of asteroids striking the lunar surface eons ago. Much could have been learned about the birth and evolution of the early solar system. Apollo 17 astronaut Harrison Schmitt wanted to send an Apollo mission to the Tsiolkovsky Crater on the lunar far side. The Marius Hills, a collection of volcanic domes, is another possible target. Recently, scientists discovered a lava tube there, a huge cavern scoured out by the flow of liquid magma. It is large enough to contain a small city, shielded by lunar soil from radiation, the extremes of temperature, and meteor strikes. The lunar south pole, with its store of water ice, has also never felt the tread of astronaut moon boots. A number of reasons existed for the truncation of the Apollo program. The Nixon administration wanted to cut the federal budget. Congress was keen to concentrate more government resources on social programs. Public interest in moon landings had started to wane. NASA was fixated on future projects, such as the space shuttle program. In any event, the United States threw away an opportunity to make Apollo an even greater thing than it was, without the benefit of much monetary savings. Now it looks like America is returning to the moon, hopefully this time for good. NASA will not be the only organization going. The European Union, Russia, China, Japan and India all harbor lunar exploration ambitions. Private firms, such as Moon Express and Astrobotic, want to make going to and from the lunar surface profitable. The world wants to return to the moon for a number of reasons. Some would like to see their countries earn respect by doing great things. Others would like to make money from mining the moon and taking payloads there on behalf of government and private customers. Still others would like to inspire their youth to pursue careers in the STEM fields. However, while all of these reasons contain varying degrees of worthiness, let us not neglect the awe of seeing new places for the first time, of uncovering their secrets, and bringing back hard-won knowledge to the rest of humanity. Exploration, the sort of thing that Columbus, Lewis and Clark, and Neil Armstrong engaged in, is an activity that is not only worthy in its own right, but pays unforeseen dividends. The six Apollo missions to the moon that did occur are still yielding knowledge as new analytical tools have been created that were not imagined when the Apollo missions were first undertaken. Think of how much more might have been discovered had Apollos 18, 19 and 20 flown. The current push to return to the moon is not dependent on any one government or even on government at all. 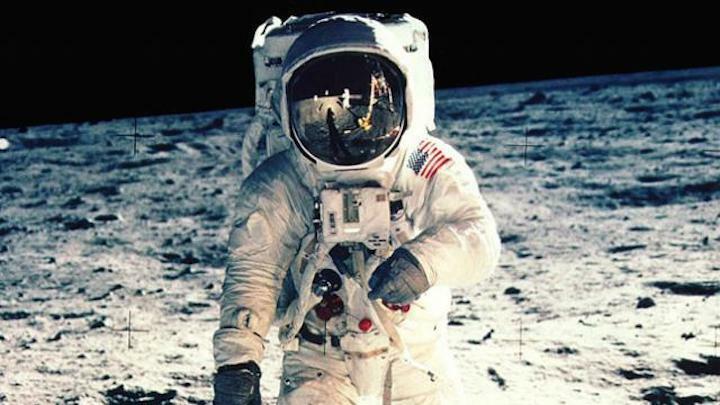 The first astronaut to see Tycho, the Marius Hills, Tsiolkovsky Crater, or the lunar South Pole will not necessarily be American or even an employee of any nation-state. Someone is going to figure out how to make voyages to the moon both inexpensive and profitable. However it happens, with a NASA astronaut, a taikonaut from China, or someone working for SpaceX or Blue Origin, these unvisited places, which might have graced magazines and books all over the globe decades ago, will at last see the presence of people from the planet Earth.